When opening an ice cream franchise there are a variety of ice cream shop options to choose from. If you do not want to open and manage an entire shop, you can simply open a small ice cream kiosk in your local mall. A kiosk is a stand-alone storefront that can be established within a larger shopping establishment. Many ice cream franchises offer the option of opening a kiosk and will provide tips and decoration for the ice cream kiosk. The mall is the perfect location for your ice cream store as there’s always a nice volume of traffic and an influx of young people who enjoy desserts. Your ice cream franchising corporation will help you open a store in the mall as well as decorate it. Having a store in the mall will provide more room for your employees to work and your customers to enjoy your ice cream. If you do not want to open a location in a mall – you may open an ice cream store typically located in a strip mall. This type of franchise option might cost you a little more money in paying rent than the other options. One of the first steps towards buying an ice cream franchise is to request some information from a leading franchise company. Click on the links below to learn more about ice cream franchises. Angel’s was created to let consumers enjoy a special experience involving a blissful ice cream desert. 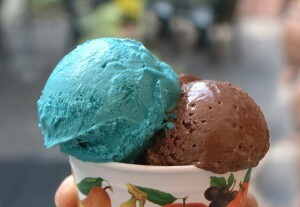 The new and delicious concept in fat-free, cholesterol-free Ice Cream, and our new Low Carb, no sugar added Ice Cream. Vist our site for details. FUN among all age groups! The philosophy of Häagen-Dazs is simple: find the purest and finest ingredients in the world and craft them into the best ice cream, sorbet, and frozen yogurt. MaggieMoos is an ice cream franchise located in the United States.